Dr. Schlueter draws on his 10-year career as a biology research scientist to counsel clients on a wide range of intellectual property issues, including patent prosecution and portfolio management, patent clearance and landscape analysis, IP due diligence, patent validity and infringement opinions, and IP licensing. His diverse technical expertise has enabled him to address IP issues in all major areas of biotechnology, including immunology and immunotherapy, biologics/biosimilars, medical diagnostics, medical devices, biosensing systems, transgenic plant and animal technology, and agricultural chemicals and products. 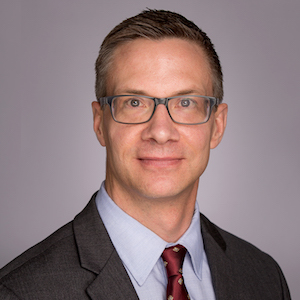 Dr. Schlueter particularly enjoys working with his clients to identify and overcome complex IP issues that stand in the way of economic and scientific progress. Youngnam N. Jin*, Peter J. Schlueter*, Nathalie Jurisch-Yaksi, Pui-Ying Lam, Shan Jin, Woong Y. Hwang, Jing-Ruey Joanna Yeh, Masaaki Yoshigi, Shao-En Ong, Monica Schenone, Christina R. Hartigan, Steven A. Carr & Randall T. Peterson. Noncanonical translation via deadenylated 3′ UTRs maintains primordial germ cells. Nature Chemical Biology. 2018 July; 14: 844–852. *Designates co-first authors. discovery. Circulation. 2009 July; 120: 255-263.
cycle progression. Cell Death and Differentiation. 2007 Jun; 14(6): 1095-105. Schlueter, P. J., Sang, X., Duan, C., Wood, A. W. Insulin-like growth factor receptor 1b is required for zebrafish primordial germ cell migration and survival. Developmental Biology. duplication and functional divergence of the zebrafish insulin-like growth factor 1 receptors. FASEB Journal. 2006 Jun; 20(8): 1230-2. Endocrinology. 2005 Apr; 19(4): 1024-34. Brian Lefort, Leslie Prill, and Peter Schlueter. Innovation is on the rise. Boulderopolis Magazine. 2015 January. Schlueter, P. J., Duan, C. (2006). Overlapping and distinct functions of the duplicated zebrafish insulin-like growth factor 1 receptor (IGF1R) genes in early development.” Society for Integrative and Comparative Biology (SICB). Orlando,FL. Schlueter, P. J., Chan, S. J., Steiner, D. F., Duan, C. (2005). “Functional analysis of two zebrafish insulin-like growth factor 1 receptor (IGF1R) genes in early development.” Endocrinology Meeting: Pathways to discovery and practice. San Diego, CA. seminar for Colorado BioScience Association for an R&D Workshop Series entitled, “Intellectual Property and FDA Considerations for Biotechnology and Medical Device Projects.” Boulder, CO.
Peter J. Schlueter, Brian D. Lefort and Victor P. Jonas (March, 2015). Co-presented seminar for LifeScience Alley Product R&D Series entitled, “Intellectual Property Portfolio Management Strategies for Product Development.” Hamline University, St. Louis Park, MN.